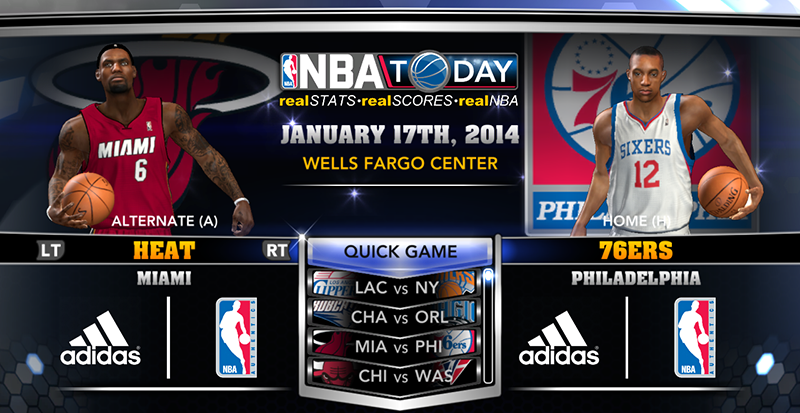 The latest roster from 2K Sports is now available for download in NBA 2K14. Contrary to Ronnie2K's announcement on twitter, today's update doesn't show any significant changes. It's basically a duplicate of the January 16th roster except for the re-implementation of Stats llc's hot and cold streaks. Heat's Greg Oden, who played his first game in the NBA for the first time in more than four years remains as a reserve, Rajon Rondo is still listed as injured, and Hedo Turkoglu's signing with the Clippers has not yet been reflected. Oh well, let's just wait for the next update.